When you're traveling with limited luggage space it's wise to avoid buying items that are either bulky or heavy. Shoes are both of these things. And I bought five pairs. Oops? I just couldn't resist. Can you blame a girl? You can never go wrong with a pair of cute black heels. These were only 10 pounds ($20) which I think is a complete bargain. You go Primarni. I had originally purchased this kind-of-style shoe from topshop but I ended up taking the topshop ones back and got these instead as I preferred them. Go figure. Again they were only 10 pounds ($20) which is sahweeet. When you're 5'3 you will try anything and everything to make yourself look slightly taller. This is why I was ecstatic that I found a pair of plain black sandals with a slight heel. Look who is now 5'4ish? This girl. Couldn't find these online but from memory they were only 8 pounds ($16). Okay, so, yeah they do kind of look like slippers BUT don't you think they're kind of cool though? Well..anyway..I think they're pretty cool and I can't wait to try style them with a few outfits. These were 12 pounds ($24) which is preetty good for topshop I think. I adore my boots so these were a no-brainer. A quality pair of chelsea boots can last years and years so i'm glad I got these. They were 42 pounds ($84) which I think is actually pretty cheap considering back home in Australia they are around the $150 mark. 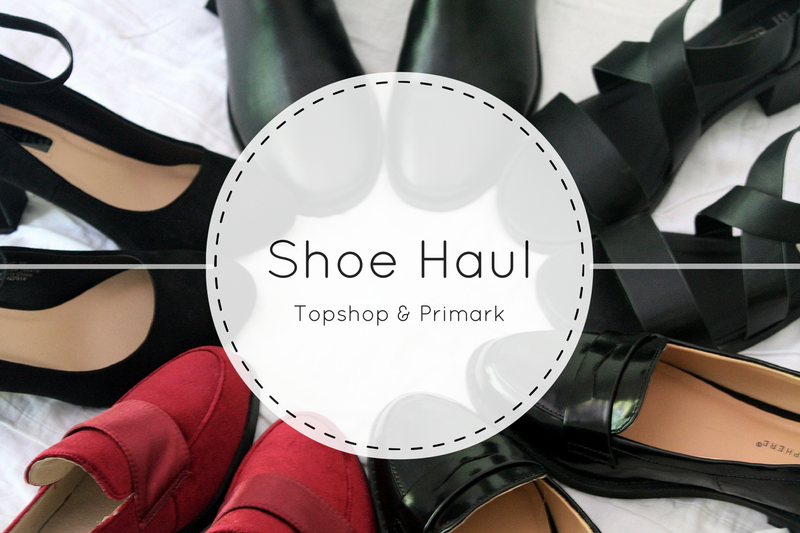 Hope you guys liked having a little snoop at my shoe haul. Tell me if you have any favourites of the bunch or advise me on how I can style those red velvet loafers (I really want to make them loafers work dammit haha). Great shoes! I especially love the boots. I love the Primark sandals and the Topshop boots! You can never go wrong with a pair of chelsea boots!